Olivier Milland, senior analyst for sub-Saharan Africa at A2 Global Risk, tells Port Strategy that the move by the authorities in Djibouti to effectively re-nationalise the commercial port is highly unusual. But he acknowledges that the relationship between the company and the state had been “shaky for several years prior to last year’s decision to expropriate the port concession”. “Given Djibouti’s strategic location and its modern port facilities compared to other countries in the region, it is a possibility that it did play a role, albeit indirectly through a position of influence rather than interference. But that is merely analytical speculation at this point,” he says. “It is ultimately up to the decision-makers to explain why they moved to seize control of the port and ultimately DP World’s shares; only they really know exactly what motivated them,” he says. The row with businessman Abdourahman Boreh, who was then in charge of the country’s free trade zone, eventually went to international arbitration, with a London high court making a very high profile ruling against the government’s claim in 2016. “I don’t think there is a possibility that DP World will now return to Djibouti, unless the company meets both the government’s and the state-owned company’s demands for further investment in the DCT port terminal to meet growing demand. And that” – given the recent decision by DP World to take legal action against China Merchants in Hong Kong – “now seems very unlikely,” he says. Significantly, DP World has invested in other ports in the region. These include the ports of Berbera, Somaliland, and Bosaso in Somalia’s autonomous Puntland region. 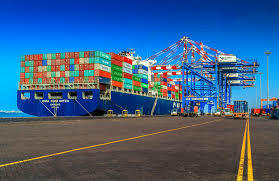 The latter is being operated by the company’s subsidiary P&O Ports, which is looking to modernise it. In this, it very much has the backing of Ethiopia, since Ethiopian businesses currently have to ship 95% of their goods through Djibouti’s ports. Mr Milland notes that competition is epitomised through infrastructure developments in Africa in particular, but even more so along Beijing’s Belt and Road Initiative where Djibouti is a key point connecting the Horn of Africa to the rest of the world. “The government’s actions to nationalise the port despite two LCIA rulings against it, and its intention to continue to expand DCT with Chinese operators, set a worrisome precedent in the country. It suggests that long-term contracts are at risk, even under the same administration, and might even mean that those with long-running relationships with the government could be quickly side-lined without any clear reason,” says Mr Milland. He adds that it also makes sense from a historical perspective, in that the Chinese have been present in Djibouti for many years, and the relationship between both governments is close; for instance, Djibouti hosts China’s only overseas military base. China also pursues close ties with Ethiopia, where Chinese construction companies have built the African Union headquarters and a standard gauge railway between Addis Ababa and Djibouti City.